Are you questioning whether you need a 24 hour plumber in Pomona? It’s easy to second guess a situation. You want your plumbing to work, but you don’t want to shell out extra money for after-hour plumbing service. Also, what is an emergency to one person may only be a slight inconvenience to another. Here are three types of situations that may require the help of an emergency plumber. An obstructed drain can lead to flooding in laundry rooms, basements, and bathrooms. If you have standing water in your shower, call for help. Don’t wait! 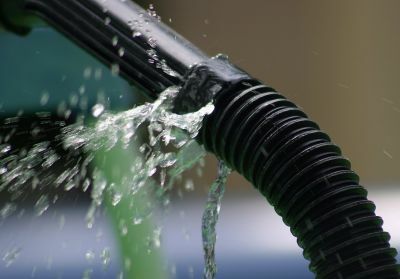 Hydro jetting can clear the blockage quickly and protect your home from the effects of standing and rising water. A leaky pipe under your kitchen sink or a perforated pipe inside your home’s walls should both be treated as an important plumbing situation. While you can make a temporary repair to exposed pipes like those under sinks, you should still get professional water pipe repair as quickly as you can. Don’t mess around with gas line problems. This can be a deadly situation at worst and severe property damage at best. There really isn’t a good outcome from ignoring gas leaks. The moment you smell that rotten egg smell in your home, call a gas line plumber. The general rule of thumb when it comes to emergency repairs is do what feels right to you. If you feel the situation warrants immediate repair, then it does. A 24 hour plumber in Pomona won’t fault you for calling for something minor, and when you call us you’ll never be charged extra for after-hour plumbing service. 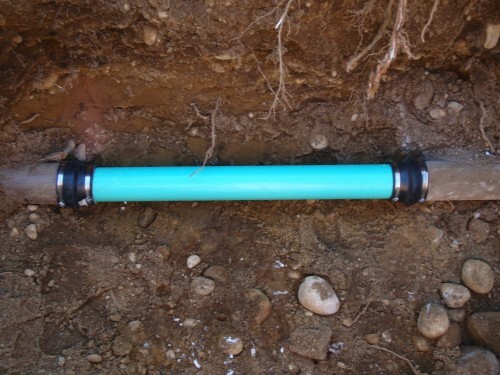 Many homeowners often forget about the importance of sewer pipes and the drains under their lawns and basements until they experience problems with the pipes and drains. Your homeowner’s insurance policy may not cover damages that invading roots cause on your sewer systems. Pomona Quick Plumbing and Rooter provides quality sewer line repair services to residents of Pomona and surrounding counties. We can help get rid of roots that invade your sewer systems causing breaks, leaks, and other damages using various root killing products. Although some homeowners use root treatments to eliminate small “feeder” roots, the roots often eventually grow back. Pomona Quick Plumbing and Rooter can help get rid of roots that invade your sewer systems altogether so that you do not have to deal with this problem again. Some tree species have deep and far-reaching invasive roots that can interfere with drainpipes. Although some roots may be unable to break drainpipes, they can invade empty spaces of the pipes that are already broken or cracked. Roots usually find their way into sewer pipes from above. It is advisable to use root-killing chemicals that dissolve in water including foaming root killers. You can find foaming root killers at our facilities in Pomona. Our root foaming killers contain dichobenil and are not toxic to humans. In addition, we have other root killing formulas for people who are concerned about introducing chemicals into their sewer systems. Most states permit the use of root killing products on sewer systems. However, it is important to understand the proper use of these chemicals to avoid potential health risks. Follow the manufacturer’s instructions to the latter when using root-killing products. In addition, be sure to wear appropriate safety gear such as gloves and goggles while handling these chemicals because they can be toxic. Sewage may be waste to you but it is a nutritious meal to the roots growing near and around your sewer line. They will take advantage of any small opening in the lines to invade your sewer system. Eliminate roots in your sewer lines and prevent problems such as blockages in your sewer system. Call us today for an evaluation of your sewer system. Your home is a major investment. For many people, their home is their most valuable asset and deserves to be treated as such. Homeowners install alarm systems to protect their homes from theft. They use building materials to protect the structure from earthquake damage. But what are homeowners doing to prevent water damage from slab leaks? At Pomona Quick Plumbing and Rooter, we find that many homeowners are unaware of the destructive nature of slab leaks. A lack of knowledge about slab leaks and the importance of early detection is why many homeowners face this unexpected plumbing problem every year. Let us take a moment to explain how slab leaks occur and how we help homeowners find and repair this problem without delay. What Is a Slab Leak? To treat a slab leak, the plumber must determine what caused it in the first place then find a solution to that problem. For example, if hard water caused the pipes to corrode and form a leak there are two problems that needed solving. The piping that failed needs to be replaced, but the quality of the water needs to be addressed to; otherwise, the problem will come back. The sooner a slab leak is found, the less damage there is to fix. Foundation leaks that go undetected for months can soften the foundation and create structural problems. Fixing a problem of this magnitude can cost an obscene amount of money. At Pomona Quick Plumbing and Rooter, we prefer to save our customers this hassle. This is why we recommend that homeowners call a licensed plumber to perform electronic leak detection services once every couple of years. Using the best equipment in the industry, our plumbers are able to detect the smallest of leaks and make non-invasive, budget-friendly repairs right away before the situation gets out of hand. Call Pomona Quick Plumbing and Rooter, to learn more about our slab leak detection services!